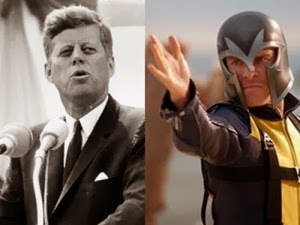 X-Men Days of Future Past – Did Magneto kill John Fitzgerald Kennedy? What do you think of the ‘bent bullet’ theory? Why would Magneto bend that bullet to kill JFK when he could just crash the president’s car? Maybe there’s an anti-mutant conspiracy behind that far-fetched conspiracy?